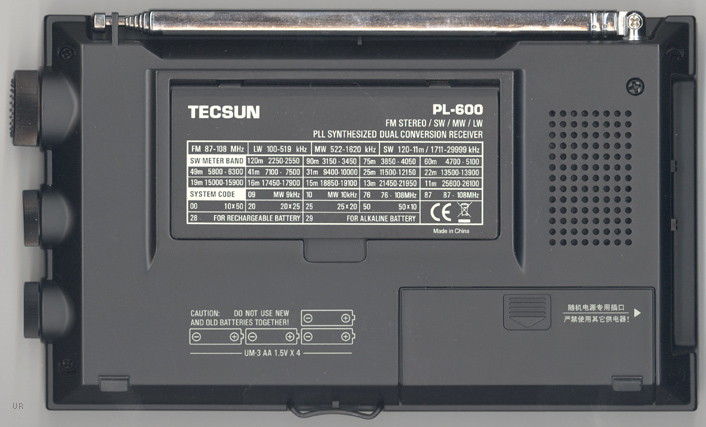 The Tecsun PL-600 is a capable radio, available at a very attractive price. It covers longwave, AM, FM and shortwave. The exact frequency coverage is: LW 100-519 kHz, MW 522-1620 kHz, SW 1711-29999 kHz and FM  87-108 MHz. This dual conversion receiver offers selectable wide or narrow selectivity to reduce interference. 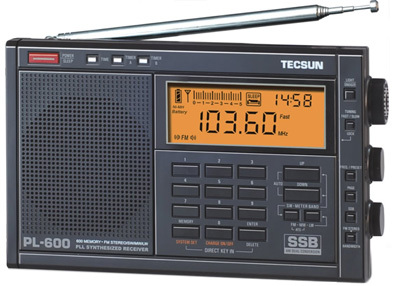 It is capable of Single Sideband (SSB) reception. Other refinements include: 12/24 hour clock timer, 600 memories, sleep timer, key lock, scanning, FM stereo (to ear jack), keypad entry, 1/8" mini antenna jack and 3 x 1.125 inch backlit LCD display. 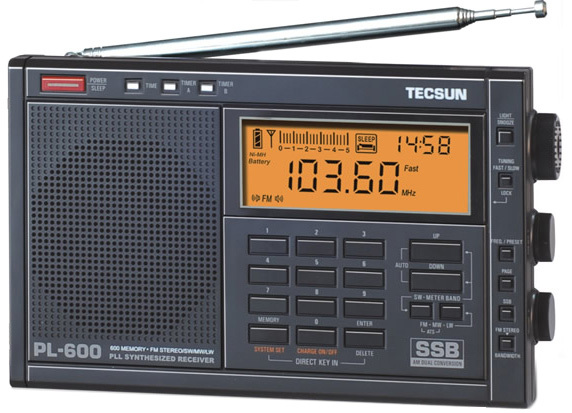 Many user preferences may be adjusted by programming the radio's system codes including memory partioning, battery type, FM band coverage and medium wave step. The PL-600 comes with AC adapter-charger, stereo ear buds, four Ni-MH AA cells, carry pouch and external antenna. There is a snap-out tilt-stand on the rear panel. Size: 7.4 x 4.6 x 1.25 inches (188x116x31mm).